Debt Repayment, Money, This post may contain affiliate links. Please see Disclosure Policy. It was a major cause of divorce in our parents’ day, and it still is today: money. It’s right up there with infidelity and incompatibility, and even tends to rate higher than abuse and alcohol in most surveys conducted with experts like divorce lawyers and marriage counsellors. We hear about it and we know it, but do we really know how it becomes a problem in the first place? Why is money such a problem for couples and, more to point, what are we doing to create the problem in the first place? and wondering which one of you will get custody.
? Was it a mutually agreed upon purchase, or did it suddenly appear like magic? If one of you is always buying big-ticket items without consulting the other person, this is a problem that can mushroom out of control pretty quickly. Repeated “surprises” that create a drain on the bank account can quickly begin to look more like sneakiness and blatant disregard. When you start doing this, it’s a step up from the ‘surprise spend’ and often develops from that initial behavior. Keeping one purchase to yourself turns into two, and then it just becomes a habit. Thing is, it eventually does catch up to you. Somehow, some way, what is hidden will be discovered and the one who has been kept in the dark will get pretty dark. Who can blame them? This is when it’s no longer just about the money. It becomes a matter of trust, and you’ve just destroyed it. Shared goals and priorities would not only help reduce ‘the surprise’ and ‘the hide’, but could also make a huge difference in your future plans, together. If one person feels strongly that little Johnny’s university education should be fully paid for by you, his loving parents, while the other is more inclined to say that he needs to learn how to be self-sufficient, you could be headed for a significant battle. The same goes for goals around retirement, travel, health and home. The trouble is, even if you think your differences can be accommodated, in the long run the resentment inevitably grows as one person tries to sway the other to their point of view … or tries to forge ahead on their own path despite how their partner feels. In all three scenarios above, it boils down to one partner feeling inspired to share the wealth, while the other is more inclined to enjoy watching it quietly grow into a secure future. Another way of putting it: one person enjoys living in the moment, while the other feels the comfort that comes with control and planning. We could debate the merits and downsides of either approach to life … and money. 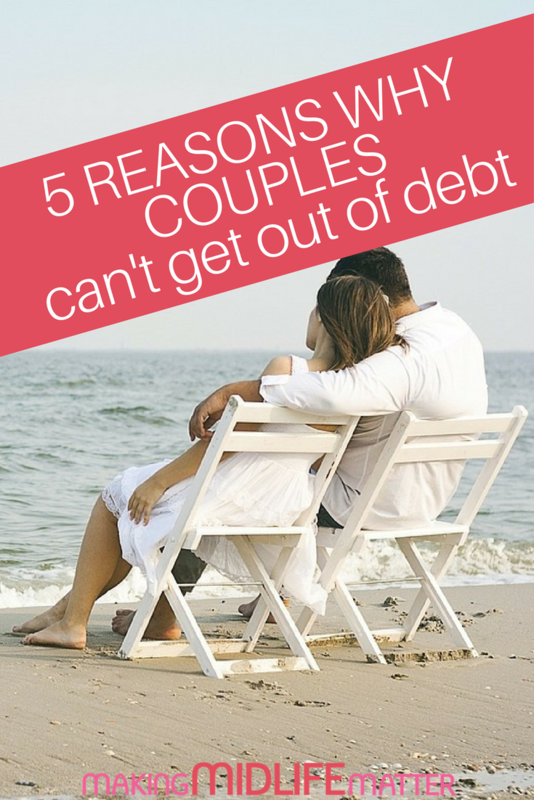 Maybe another time, because it’s not really about which approach is right or wrong—it’s about the fact that, as a couple, your financial personalities are in conflict. This sort of thing can be deeply rooted, going all the way back to childhood; the result of past life experiences that have left emotional scars. It’s not necessarily something you can ‘fix’ or ‘change’. Both people not only have to acknowledge their fundamental differences but also must decide if they’re willing to show respect and learn compromise. Yes, there’s that word. It had to come up eventually, because in the world of two people, there will be differences. Guaranteed. What isn’t a guarantee is whether you will both choose to find your way toward a meeting of minds in the middle. This is where you could easily meet in the middle and help one another. Working together would mean that you are sharing the effort in something that impacts you both. If both of you don’t see what’s coming in and going out, and how it does or does not balance, then one person is bearing that burden while the other floats along in happy ignorance. Nothing good can come of that. I don’t know whether you noticed as you read this, but in each of the five instances above, what started out being about money became a bigger thing. It became more about trust, respect, support, and team work—the essential elements of a healthy partnership. Strangely, money has that kind of power. Or, maybe not so strangely. Because, when you think about it, it touches on every aspect of our lives. How you decide to manage it as a couple is therefore representative of how the two of you will manage your lives together.